There’s something about the woodcut that makes it the art medium of the macabre. Perhaps it’s their historical use in pamphlets and ancient texts; perhaps it’s because there’s something darkly sinister about their black-and-white world. First in a new series of inspiring woodcuts comes from a US site called Tugboat Printshop. 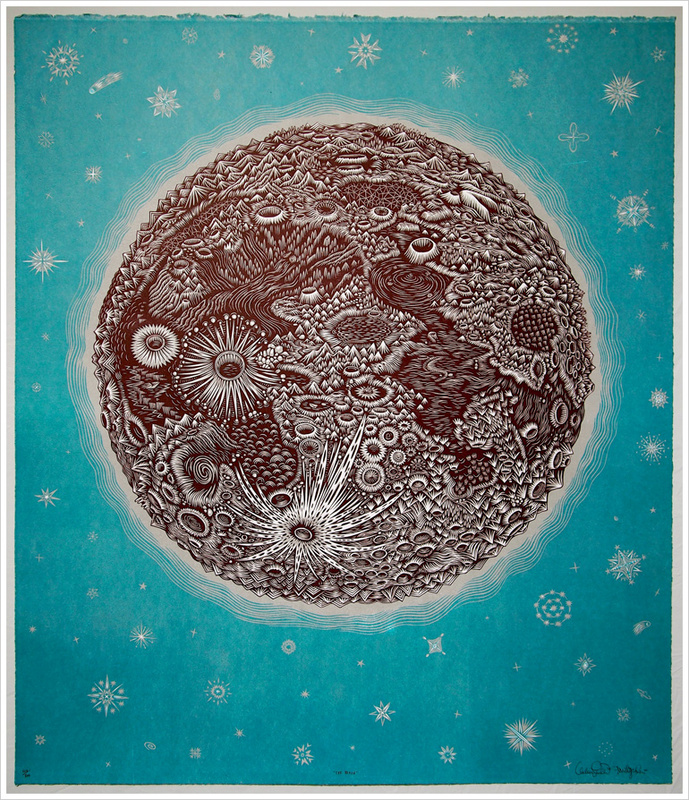 I stumbled across this image of the Moon by Paul Roden & Valerie Lueth- isn’t it eerie? It looks like something you’d find at the bottom of the ocean, a kind of Jules Vernian phantasm.